The election for the 2019 General Student Council (GSC) will take place on Tuesday, November 20, 2018. 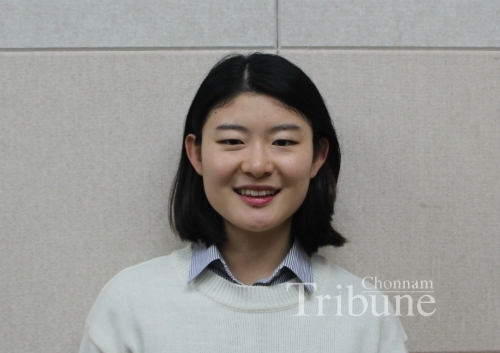 The Chonnam Tribune asked students for their hopes for the next GSC. – Ed. As a female senior student, I noticed a lot of effort from the General Female Student Council in my freshman year. They did many activities for women’s human rights and welfare. I liked that they conducted programs about comfort women such as the butterfly camp. However, I did not feel inconvenience despite their absence. I think GSC will work hard for students without it. I hope the next GSC continue to organize programs about comfort women and provide information about student affairs and campus life, using communication channels accessible to students like Facebook. It would be helpful for students to apply for on-campus programs and use school facilities easily.